As the world’s nations converge on Cancun this week for the two week UN Climate Change Conference (COP16) a few statistics are in order to put the supply chain and related logistics industry into perspective. It’s a pretty sure bet (given poor results at COP15 in Copenhagen and recent Congressional elections here in the U.S.) that it’s unlikely that any major binding agreements will be reached on setting measurable and verifiable targets for greenhouse gas (GHG) emissions cuts for industrialized nations. What is at least hoped for is that there will be some progress on establishing more robust means to appropriate and distribute micro-finance funds to support development of technologies in developing countries that lack the dollars themselves to manage their own greenhouse gas footprints. But the fact remains that logistics is a major source of CO2 emissions, accounting for 13.1% of global greenhouse gas emissions, according to the Intergovernmental Panel on Climate Change (IPCC, 2007) – although, this figure also includes passenger transportation. The “transport sector’ sector as a whole is responsible for 24% of global CO₂ emissions! So as the logistics industry grows and expands to respond to the ever changing demands by global commerce, so will energy consumption and GHG emissions related to daily logistics. 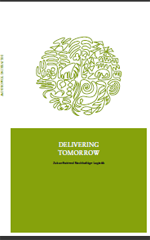 To that end, in a report issued this fall by Deutsch Post/ DHL, “Delivering Tomorrow: Towards Sustainable Logistics”, a study of more than 3600 companies found that “two-thirds, i.e. 63 % of business customers, believe companies will regard transportation as a key lever to reduce their carbon footprint”. And while the report suggests that low-carbon logistics solutions and flexible transport modes are not yet widely available, there are a few market-ready technologies or solutions today that can meet the specific needs of the transport and logistics sector. “We want to take a significant step forward to improving carbon efficiency and do our part to facilitate a low-carbon economy,” says Chief Executive Officer of Deutsche Post DHL Frank Appel. 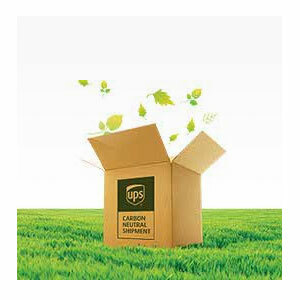 Deutsche Post DHL was the first logistics company worldwide to commit to a carbon efficiency target – 30 percent improvement by the year 2020 compared with 2007. Other companies such as UPS and FedEx are implementing similar programs designed to optimize operations in a sustainable manner. The report also cited that “70 % of respondents believe that legislation is needed in order to bring about a substantial shift towards a sustainable logistics industry.” The study shows that carbon pricing mechanisms can likely accelerate a market-based dynamic toward more sustainable solutions. Once there is a real price tag attributed to carbon emissions, the environment will be an integral part of investment decisions. Customers in Asia in particular appear quick to accept that sustainable solutions may cause higher prices, according to the study. For example, 84 percent of consumers in China, India, Malaysia and Singapore say they would accept a higher price for green products – compared to only 50 percent in Western countries. This type of hesitancy on the part of Western countries falls in direct line with the ‘foot dragging’ that has occurred at past climate conferences. 1. Logistics counts – it is not a commodity. Logistics is not only a chief catalyst of global trade and a defining component behind value creation – it is also a business of strategic importance in the move towards a low-carbon economy. 2. Technological change will be achieved through a concerted planning and implementation effort between private companies, governments and financial institutions. 3. Collaboration will increasingly be seen as an enabler to attain sustainability even between perennial competitors. This will especially be the case as greenhouse gas emissions reduction becomes a priority for suppliers, business customers and logistics companies. 4. Business models of logistics companies will change as sustainable innovations and technological advances create new opportunities. 5. Carbon labeling will become standardized. Carbon ‘tags’ offer ways for customers to compare environmental impacts of products. This increased product ‘transparency’ can raise confidence among logistics customers and end consumers when making climate-friendly choices. 6. Carbon emissions will eventually have a price tag, whether it’s mandated by law or not. Already, carbon accounting has become part of companies accounting, decision making and corporate reporting practices in many market sectors. Increasing movement in this direction, with possible government or free market intervention will only increase the demand for a price to be attached to CO2 emissions. 7. Carbon pricing will lead to more stringent regulatory measures. However companies will only accept a price tag on carbon emissions if governments ensure a level playing field across industries (and more challenging will be across economies). Already, big product manufacturers and retailers like Unilever and Walmart are reaching deep into their supply chain to stock shelves with less harmful products. Gavin Neath, senior vice president for sustainability for Unilever says that this approach not only helps the company cut costs, but create new products that are less impacting to the environment and expand in developing-world markets that are likely to be hit hard by global warming, he said. With efforts to secure a global climate treaty barely inching forward “big companies like ours, which have very extensive supply chains, reaching across all continents and 60, 70 countries, can make a difference,” Mr. Neath explained. That brings us back to COP16. 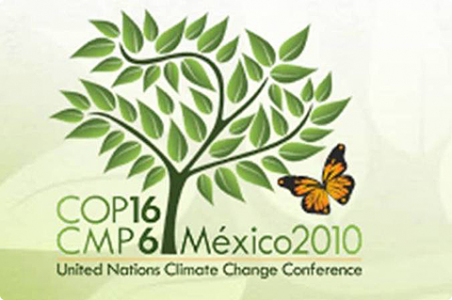 It’s been suggested by some practitioners and policy makers that at COP16, a binding agreement is more likely to occur when countries take ownership of their entire life-cycle emissions and when such agreements are based on data that attributes emissions fairly. It’s also been proposed that national inventories be generated by adopting measurement tools that follow the principles established by existing carbon accounting methodologies already used by corporations and at a product level. Supply chain wide carbon accounting (at the product design, manufacturing and distribution levels) is a vital ingredient to achieve this result. I’ll be watching COP16 developments closely in Cancun these next two weeks and will offer additional insights about what potential policy driven outcomes these negotiations may have on supply chain logistics. The study on sustainable logistics was developed with experts from MIT, Potsdam Institute for Climate Impact Research, National University of Singapore and the Technische Universität Berlin, Deutsche Post DHL, and manufacturers/retailers like Fujitsu, Henkel, HP, Unilever, and Walmart.